Protection spells are mainly used for getting rid of evil and unwanted presences and psychic attacks. 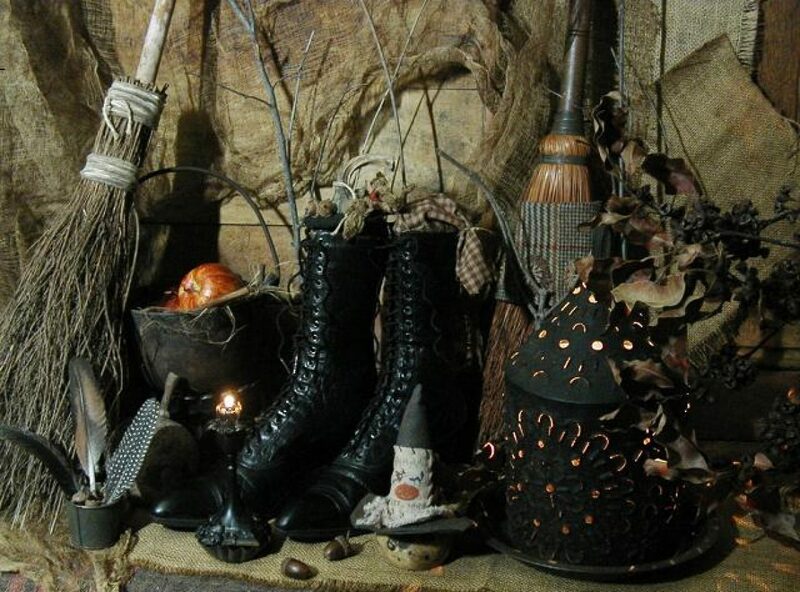 Protection spells can also be used for removing or cleansing any existing hexes, house blessings, protecting your loved ones, ridding yourself of nightmares and so on. 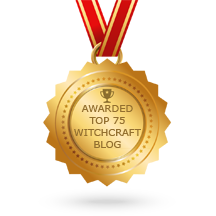 Protection spells can empower you by helping you build a field of energy that will keep destructive forces clear of you and/or your property and possessions. Ritual: While you are performing this spell -carry a piece of rosemary with you at all times. Write the name of the person that is sending you the negativity on the piece of yellow paper. If you are not sure of the person’s name that is sending this negativity to you, simply write, “Enemy Mine”. Using the red pen, draw a figure of a doll shape around the name and then cut out the shape with your scissors. “Enemy Mine your power is gone. The hex is broken the spell undone. The eye has been turned away. Enemy mine you’ve gone away. Perform this spell for 7 consecutive nights, beginning on a Saturday at midnight, on the next Sunday night, unwrap the paper doll and tear it into nine pieces then burn the pieces. Scatter the ashes FAR away from your home and throw the red cloth into the garbage. You will see an improvement in your mental awareness and no more feelings of negativity within a week. When one has been involved (either Emotionally, Physically or Spiritually) with another person it can create an ‘Etheric Link’ that resembles a red cord binding between you. When the friendship or relationship ends it is often difficult to move on, as you are still linked to this person. The Cutting of the Cord Spell is ideal in dissolving the bonds between people allowing them to move on. 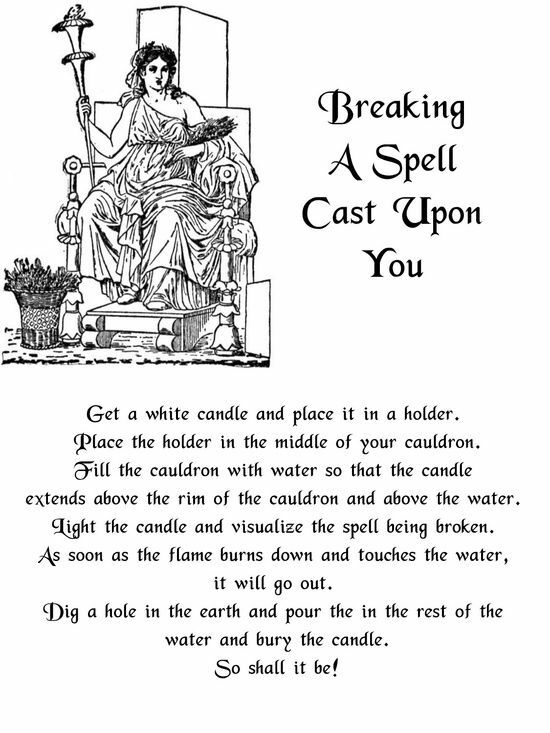 Preparation: Bathe & Cleanse yourself before starting, set out materials, and Cast a Basic Magickal Circle. I name this Candle as (insert name). So it is also flesh and blood, So Mote it be! As the Goddess links us in Spirit, I link these forms together, As above, so below, As within, so without! Again sit in meditation, and think of the reasons you want to cut all ties to this person, think about the events that have lead up to this decision. Face any doubts that you may have and see them for what they are, fear. Know in your heart that the Goddess wants only the best for you and She wants you to want the best for yourself. When you are ready visualize yourself telling the other that it is over and that you are moving on, then see yourself turn and walk away – not looking back! As I am released from thee, As I do will, so mote it be! So do all my bonds to you… So mote it be! Place ‘your’ candle on your Altar to burn when you find yourself wishing ‘what if’. Clean up and Close Circle, then bury everything else except your candle. If you think you have been cursed, and that is why you are unlucky in love, you need to make a supplication to Aphrodite, asking her to intervene. This supplication should be done on a Thursday evening at dusk. Light 1 purple candle and 1 pink one. Burn 7 pine needles in a bowl or brazier. Offer the goddess three red roses, 1 for each stage of a woman’s life (Maiden, Mother and Crone). Then ask her to bless you in love and to break any curse that may exist. Pour your heart out to her. Ask forgiveness for any and every thing you have ever done to hurt another who loved you. Offer to make amends by doing something in Aphrodite’s name. Make a commitment to showering your future partners with love and romance. Vow never to be unfaithful, etc. Be respectful when addressing Aphrodite and be honest. Do not make empty promises or break the ones you make. If you say you will do something, do it. If you do not, you may not like the result. There is no spell for this one, no incantation. You simply speak from the heart and if you are sincere, she will answer. Aphrodite can be a generous, loving goddess, guiding us towards bliss. Or she can be a vengeful harridan. Be warned, if the reason you are “unlucky” is because you have been unfaithful, abusive, cruel, or otherwise wasteful of Love’s gifts, you will face her wrath unless you agree to immediately change your ways, and then do so. To be done after an argument has occurred between you and a loved one. Separate the figures. Pick up the bay leaf and crumple it in the palm of your hand. Blow the leaf to the wind. Wrap the figures up with a pink ribbon and put in safe place. (this is a spell to send bad vibrations back to their source). Needed: Hand Mirror, Black Candle, Incense, Black string, Bell. “I am immune to their hate, their malice. I will not accept their guilt or their intolerance. I shall add no malice to nor subtract any from that which I send back. Dismiss the spirits. Let the candle and incense burn out on their own. Place the string in a special box set aside for spells and leave it there always. Sprinkle chamomile around the perimeter of your home and property to break any spells against you.